Are you looking for your dream home, vacation home, an investment property, or relocation? Are you a first-time home buyer in the Poconos area? The Poconos provide a myriad of living possibilities for any client’s unique lifestyle. And with my diverse experience, I am your one-stop shop! I have built a career in design, construction and architecture. My background has prepared me in a unique way for Real Estate: I offer an insider’s understanding of quality and design to both buyers and sellers. My artistic eye allows me to envision the right steps toward buying or selling your home, and I find a great deal of pleasure helping people achieve their goals. Backed by my professional skills and the strength of Realty Executives International, my promise to my clients is to do all that I can to help you sell or purchase your home, making your real estate experience as easy and as stress-free as possible. For 20 years I have lived in Stroudsburg and I am proud to call the Pocono Mountains my home. 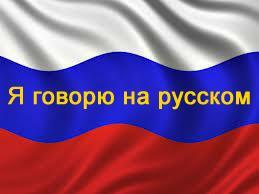 I speak both Russian and English fluently.